Lake Erie yields magnificent beach glass because of it's active past. The Lake along Buffalo, New York was a shipping lane for much of the 19th and 20th century. During these times, bottles were thrown overboard. Approximately 90% of beach glass' origin comes from bottles. There are over 2,000 ship wrecks in Lake Erie alone, which adds to collecting success. 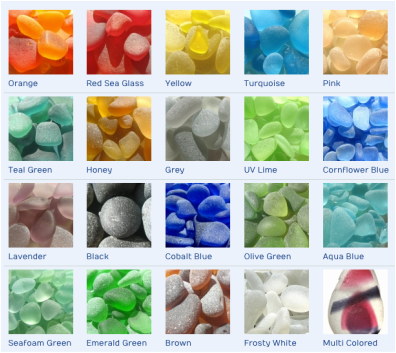 Beach glass is becoming a vanishing gem due to it's popularity among collectors and the significant decrease in glass production. Recycling efforts and environmental awareness have added to the scarcity of beach glass.